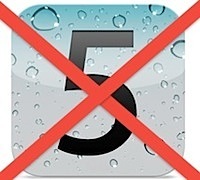 Apple has begun to crack down on registered iOS developers who are selling UDID activation slots for iOS 5 betas to other users, in some cases sending email warnings to devs, but also deactivating other developer accounts completely. Apple is even flagging some individual UDID’s and making the devices unusable, forcing users to downgrade from iOS 5, in an effort to prevent non-developers from using the beta software. A little background information may be helpful to understand what is going on here. In order to run iOS 5 beta, you must have a devices UDID registered with Apple through their developer network. An iPhone or iPad UDID is a unique identification number that functions like a devices serial number, this number is then put onto a whitelist of sorts that allows a specified UDID to download and run the iOS beta software. Some developers have been selling these UDID activations to non-developers so that others could run iOS 5 betas, which is likely a violation of their iOS Developer Agreement. The reason for all of this? Economics. In terms of costs, a UDID activation obtained through these grey-market methods may cost $10, whereas an officially sanctioned iOS Developer license costs $99 per year directly through Apple. Some developers may have been selling these slots to help recoup the costs of an iOS membership, whereas others were clearly just profiteering on the access to iOS 5 betas. AppleInsider notes a large market in UDID resellers, with one operation allegedly activating over 15,000 UDID’s, which at $10 a pop is a whole lot of cash. We here at OSXDaily actually had to set “UDID” as an automatic spam flag in our comments due to a massive influx of spammers trying to redirect anyone to these grey market sales sites. Remember, the primary purpose of these transactions are for non-developers to run iOS 5 beta software, which, by the very nature of a beta, is not intended for usage outside of the registered iOS developer network. This is why Apple is cracking down, until iOS 5 is ready for release this fall, they don’t want unauthorized users muddying bug reports, clogging the Genius Bar and Apple Support, or leaving nonsensical complaints on the App Store from clearly illegitimate iOS 5 beta users who aren’t developers. Editor Update: Some of the discussion on this is directly related to the iOS 5 beta 1 and 2 expiration occurring yesterday, August 4, which has nothing to do with any ‘crackdown’ from Apple. Update 2: Both TUAW and 9to5mac are raising suspicions about the claim that individual non-developers are being targeted, although 9to5mac does report that one individual who was selling UDID slots confirmed his account was removed. As we and some of our commenters have pointed out, it’s more likely that the other non-developers are simply misinterpreting the scheduled expiration of iOS 5 betas. I can almost guarantee that this is an overreaction to the beta expirations and has nothing to do with Apple doing anything. This is not Apple ‘locking’ the device, it’s exactly what happens when the beta expires. At this point you can upgrade directly to the next beta and everything works as expected. I am certain this is what is happening, but because people who bought UDID activation don’t bother to read release notes or follow the developer forums, they are clueless to the expirations, and thus insist Apple is moving against them. I don’t think Apple would waste their time with this, I also attribute it to the expiring betas.